Thanks to the invitation to appear on BBC2s Working Lunch programme, BikeBiz was in Redditch yesterday with the MD of Halfords. But with time to kill, BikeBiz also visited an IBD close to Redditch town centre to see what effect Bikehut was having. With bike sales of 700 000 a year from 322 stores, its always wise to keep a beady eye on Halfords. After trialling 14 new store formats including cheap-and-cheerful warehouse-style operations the Boots-owned chain has come down strongly in favour of their arcade offering, Bikehut (see lead story in BicycleBusiness, issue 1, July/Aug 1999). 45 store-within-store Bikehuts were opened over the summer and there will be a total of at least 100 by April 2001. 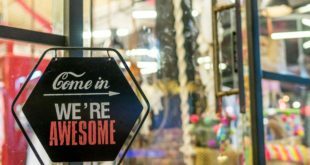 The first Bikehut to open was a standalone shop in Havant but all Bikehuts will now be contained within existing out-of-town superstores. Unlike the current bike offering in Halfords stores, which is generally placed to the rear (the worst zone possible), Bikehuts are contained on newly-built, hi-vis mezzanine floors. In effect, bikes are now more prominent than car parts in those Halfords with Bikehuts. And Halfords is continuing its thrust to gain more niche, IBD-only brands. Two such brands are close to signing with Bikehut. One of the brands is no big surprise but the other is a destination marque and should it get the go-ahead will be a genuine coup for Halfords/Bikehut. Whereas Halfords has long sustained itself on a middle-market blend of own-brand, Saracen and Raleigh, the multi-faceted Bikehut brand mix will be a draw for even the knarliest of hard-core enthusiasts. Bikehut may have an ever increasing range of magnet brands but that neednt be a cause for IBD alarm. Yesterday BikeBiz visited the Reddich town centre Bikehut close to Halfords HQ and also popped in to Michaels Cycles, an IBD a mile further out of town. Bikehut hasnt diminished our business, revealed Michael Davis, eponymous owner of the seven year old shop. Quite the reverse. By going upmarket I think Bikehut is educating low-end customers into trading up. And we get a lot of referrals from Bikehut. Our biggest problem has always been people dont know where we are. Bikehut staff often tell people were here because they cant do everything. 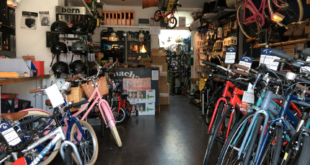 Michaels Cycles has benefitted from the opening of Bikehut but it was already trading well up on the previous year: As of last Saturday we were 37 percent up year on year. We wouldnt launch so many stores if Bikehut wasnt a successful format. We tested 14 formats and this one worked by far the best. Were not a discounter. We want to trade people up to better bikes and Bikehut is the best way of doing that. Raleigh took a speedy petrol-crisis ad in The Sun but, aside from that, has been largely quiet in the mass media. Halfords is now the only mainstream bike advertiser and, in future, ads will be pushing the niche brands as well as the bread and butter ones such as Schwinn. Halfords has also now got a very proactive in-house PR person who works in conjunction with an outsourced PR consultancy. This combination is working hard to raise the profile of cycling (and Halfords, of course) in the national media. During the fuel crisis there were Halfords/bicycle splashes in newspapers and on telly. And last week when the testicle story broke (a boffin delved into the shorts of Austrian mountain bikers and found that 96 percent of them had scrotal abnormalities) the Halfords PR combo went into over-drive to get a positive spin for cycling. No coverage resulted but PR is all about if at first you dont succeed, try and try again. There are some downsides (er, like the poaching of specialist staff!) but, on balance, having Halfords around is good for UK independents agree the majority of IBDs contacted by BikeBiz. And whilst Bikehut may eat into the market share of weaker IBDs, thats not what the Halfords MD wants to see happen. Ron Scribbens: We want to grow the whole bike business.